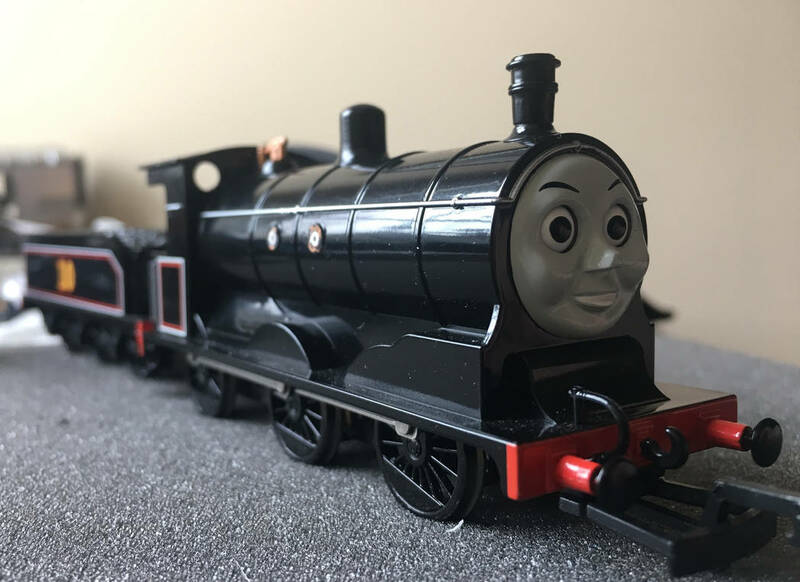 Hey guys, I know I don't post here very often (since most of my passion is 3-Rail O gauge), but with most of that collection completed and need to cut back on spending on trains, HO Thomas sounds much less costly and just as interesting. 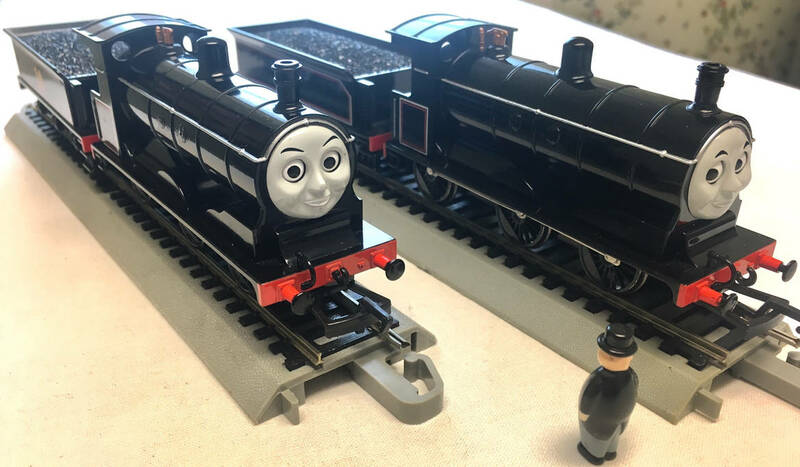 So, expect more Thomas content from me once in awhile. 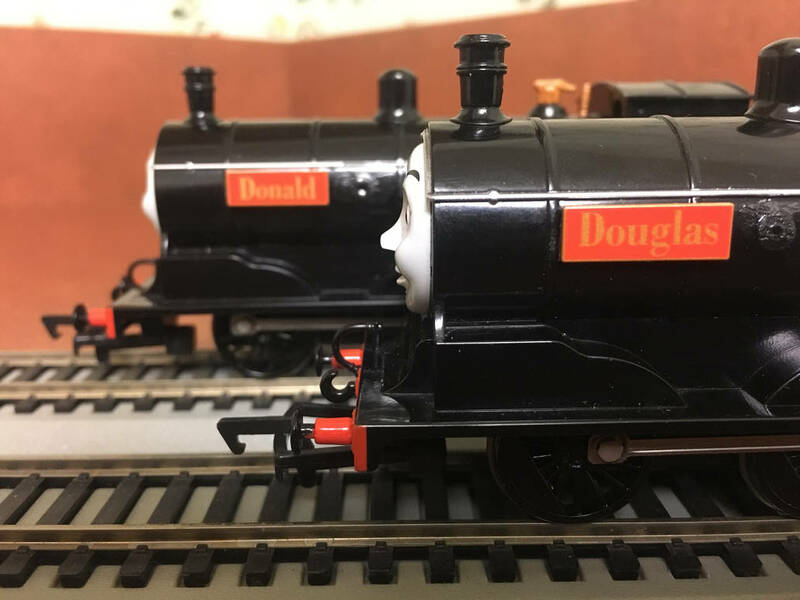 Anyways, I've had Bachmann's models of Donald and Douglas for awhile. 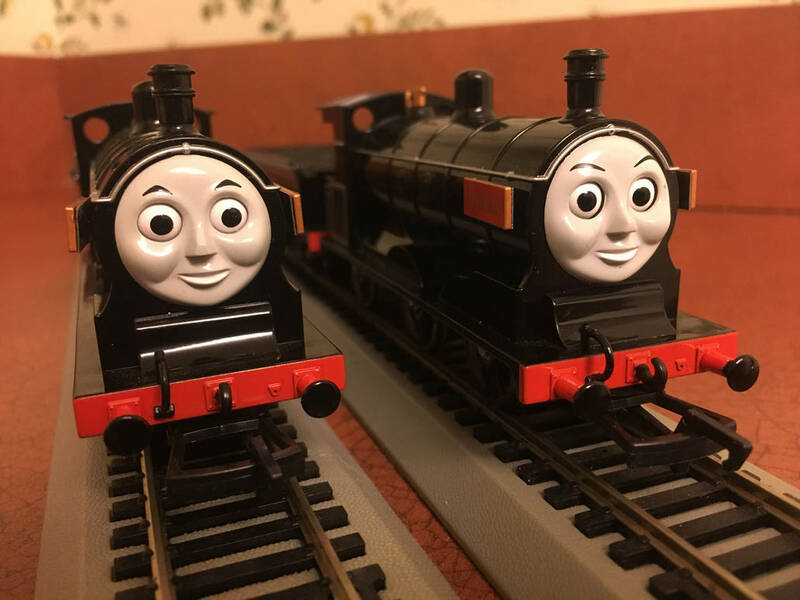 They're still some of my favorite Thomas models Bachmann has produced along with Duck. As great as they are, there was something that didn't feel right. 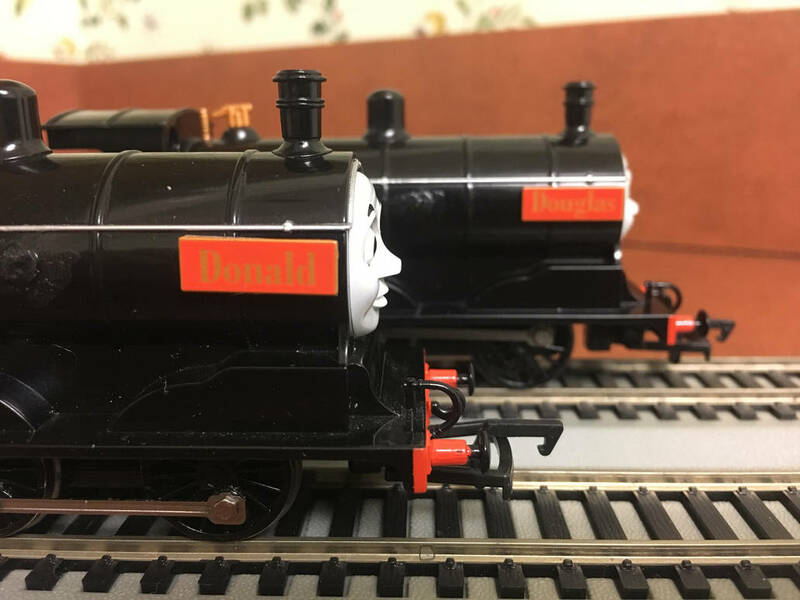 As much as I like season 6, the nameplates in the middle of the boilers just felt a tad unappealing, especially since the twins' return in season 20 with their plates returning to their smoke boxes since season 2 which looks much more aesthetically pleasing to me. Now, what I'm doing is not for the faint of heart and requires a bit of care and patience. I was curious about how to remove the plates. Since they're pressed in, I used a wide X-Acto knife to gently but firmly pry the plates off. One went flying off, but fortunately they all stayed perfectly in tact. Next, I filed down the openings where the plates originally sat. The filing didn't come out perfectly, but the boilers definitely look better than leaving as is. To fill the gaps, I used JB Weld (with the help of Scotch tape and a tooth pick) and let it sit for about 10 minutes for each fill. After they dried firmly and were flush, I used a Testors glossy black paint marker to match the color of the boilers. The color is pretty spot on match. After the paint dried for overnight, then I got creative with the plates. At my local Michael's, I found some super strong Neodymium magnets that were small enough to fit inside of the boilers while also not getting in the way of the motor chassis (which isn't magnetic, as a plus). I found some very thin, scrap sheet metal that was thin enough to be cut with scissors, and flexible enough to be pressed and flattened with pliers. 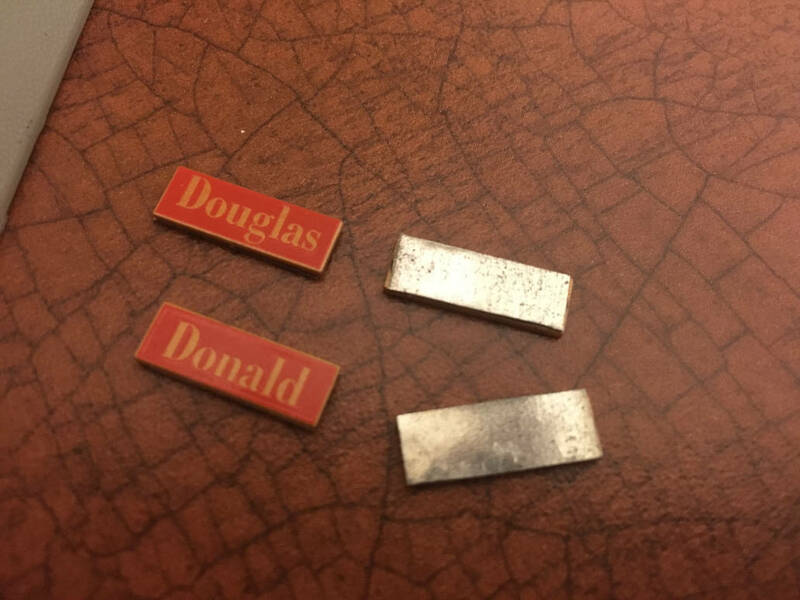 After flattening the cut strips, I super glued them to the back of the nameplates. As much as I prefer the season 2 look, I also have a great fondness for season 3's aesthetic and the slight off center mounting of the plates. This is why I opted to use the magnets and metal plating. 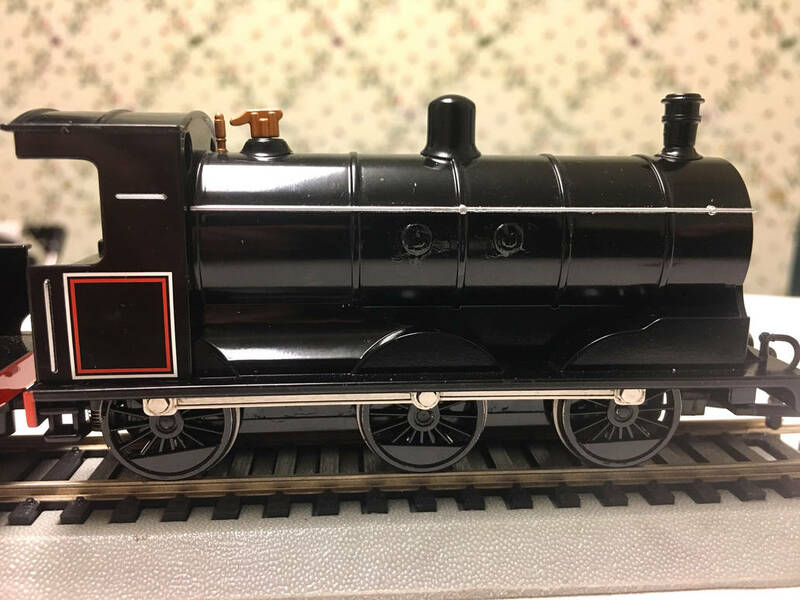 Depending on how I'm feeling, I might want to move them to the smokebox, or off center, or even off altogether to match their looks before they were part of the North Western. Surprisingly, it worked almost perfectly. The magnets hold onto the plates extremely tightly. I'll likely file the back of the plates a bit so they'll fit smoother over the boiler bands, but overall the project came out exquisitely. I had a great deal of fun doing these custom modifications, and am eager to jump into other ideas in the near future!